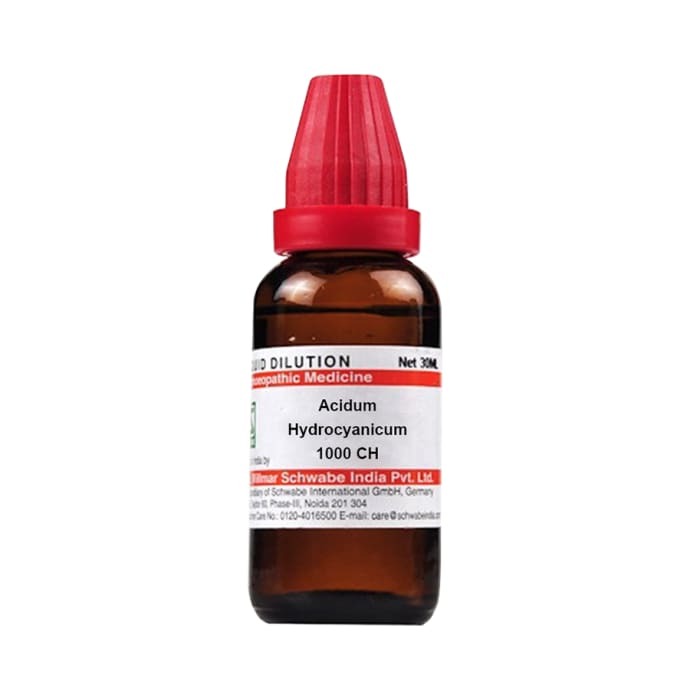 Dr Willmar Schwabe India Acidum Hydrocyanicum Dilution is an excellent homoeopathic medicine that controls convulsions and loss of control over movements. This medicine also controls coldness, irregular pulse, chest pain, inability to breathe well etc. It is truly a boon for abdomen related ailments and for urine problems too. Headache problem can be effectively treated if taken in right doses. It is indicated when there is feeling of suffocation in throat, pain and palpitations in chest, breathlessness, weak and irregular pulse. Take 3-5 drops of this medicine twice a day or as directed by the physician.